Despite recent challenges, the 'global turn' remains prominent within the social sciences and humanities. 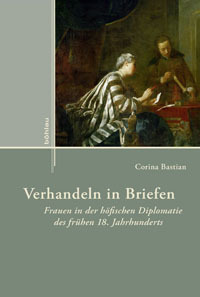 For the early modern period, this is reflected in many areas of current scholarship: intercultural diplomacy, material culture, knowledge and ideas, as well as intercontinental trade in textiles, ceramics, tea, coffee, sugar, and other goods. Everything seems to have had a global past or been globally interconnected. 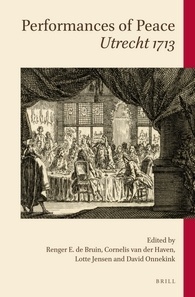 In Inventing Exoticism: Geography, Globalism, and Europe's Early Modern World, Benjamin Schmidt enters this increasingly popular field, but takes a more Eurocentric approach to global history, one less focused on global pasts and interconnections. Elaborating the concept of exotic geography, Schmidt probes how Europe viewed and understood itself and the non-European world in an era of increasing global interaction. 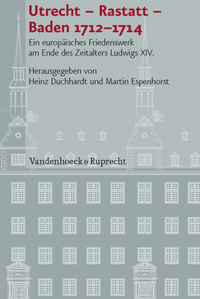 In studying this genre, Schmidt argues convincingly that the years after the Peace of Westphalia were a critical turning point. Previously, geography had taken strongly parochial or, to use an anachronistic term, 'nationalist' perspectives and sought to draw parallels between foreign places and specific European polities. This was characteristically expressed by Columbus describing the Caribbean as 'Valencia in March' or in the names given to colonies (New France, New England, New Amsterdam, New Spain, etc.). In contrast, beginning in the 1670s, the new exotic geography began comparing non-European to other non-European locales, and contrasting them to Europe. In doing so, the previous singular, parochial perspectives to foreign places were replaced by a collective European outlook; while, the non-European world was exoticized and portrayed as fundamentally different to Europe. As Schmidt notes, this change had ramifications beyond geography. By exoticizing the non-European world, it laid the foundations for many of the concepts at the heart of colonial and post-colonial studies: East/West, colonised/coloniser, and Orient/Occident. Idle changes, these were not. What exactly is exotic geography? In terms of source material, Schmidt never precisely defines what counts as exotic geography, and what not, preferring instead to say it was defined by its "style" (81). 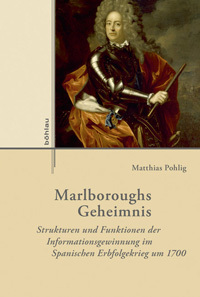 It is clear from his source material that at its heart were lavishly illustrated books and atlases, with written and visual depictions of non-European religions, politics, ethnologies, histories, and cultures, replete with maps and illustrations of buildings, cities, kingdoms, and continents. Schmidt's selection of sources is, as he admits, not systematic. Instead, it samples broadly from 1670 to 1730, focusing primarily on the many publications that were key in the creation of this exotic world. Considering the scope of print geography in this period, such an approach is eminently defensible, even if it leaves the reader occasionally wondering how large and representative the field of exotic geography was. The Dutch were by far the most successful producers of exotic geography, clearly eclipsing other European rivals. The key to their success, Schmidt argues, was that Dutch ateliers did not present a specific voice or perspective. Instead, they downplayed the role of the artist or the author as they re-worked and re-wrote texts to remove from them anything that reflected a regional perspective or colonial rivalry, and thus could limit the potential consumption of their books. By creating products with a pan-European perspective, they could sell to a pan-European audience. That they could operate in this manner was helped by the lack of surveillance in the Dutch book trade: minimal censorship, no learned academies, and limited patronage, all of which meant they could produce books designed to sell. Images were central to exotic geography, and to Schmidt's analysis. Throughout, he makes extensive use of visual sources: twenty-four colour plates, and 179 black and white images, most of which are located adjacent to the text describing and discussing them. The use of so many images is one of the book's strengths as Schmidt repeatedly shows how images were central to creating the iconography of the exotic. For example in the fourth chapter, he demonstrates how iconographic symbols typical of one locale were readily used in depictions of other far-off places. Partly this was driven by financial concerns; it was clearly cheaper for printers to re-use images for multiple publications. But the result was iconographic chaos: crocodiles in Korea, palm trees in New England, and parasols, not just as a symbol of Asian royalty, but found throughout the non-European world. The visual may have been at the forefront of exotic geography, but veracity in its depictions was not. It is this looseness with which iconographic symbols were exchanged that Schmidt sees the non-European world as being exoticized. Instead of firm associations, there is an "aesthetic of the exotic"  where these images and symbols do not represent specific locales, but rather a generalised non-European exotic world. For geography, a discipline that was intended to chart the world, this created a problem. Instead of precision, there was chaos and conflation. Gradually, and gathering momentum in the 1730s, there was a reaction as collectors, scholars, and naturalists criticised the genre for the lack of order and structure. Schmidt's work on the development of this generalised exotic world is powerful and convincing. But as with most iconographic analyses, there remains the question of the extent to which most consumers understood iconographic codes. Outside of the pushback from elites in the mid-eighteenth century, were these symbols broadly understood, and if so, by whom? Unfortunately, Schmidt does pursue the consumers of exotic geography. He remarks at a couple points that there were products for both low- and high-end consumers, but never investigates their consumption in depth. To be fair, such an endeavour is asking a lot of what is a thoroughly researched monograph on an expansive subject (and for which, source material may be hard to come by). But part of the significance of his argument rests on exotic geography's assumed reception and influence among its consumers. Finally, Schmidt places considerable weight on pleasure and delight being central themes in the iconography of exotic geography. Yet this emphasis stands in stark contrast to the subject of the third chapter: pain. In this chapter, Schmidt argues that iconographic representations of pain were relocated from Europe to the non-European world, particularly China. But how images of pain, and the often quite graphic depictions of torture, fit with the themes of pleasure and delight is not something Schmidt adequately engages with. Nor is the matter of how images of pain can be part of a genre that was designed to sell in large quantities. If pain was something that sold well, and could be found pleasurable and delightful, then these are points that need explanation. 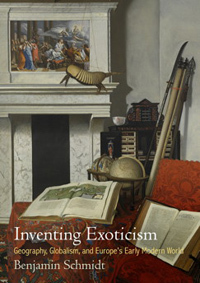 These qualms aside, Inventing Exoticism is a meticulously researched and engaging book to read. 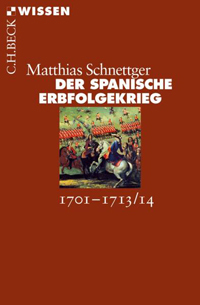 In a field that is becoming increasingly crowded, it is a welcome and new perspective on a globalising Europe in the seventeenth and eighteenth centuries. In particular, its insights into how Europeans saw the exotic world - as decidedly non-European, and full of pleasure, delight, and chaos - gives future researchers much to grapple with. Edward Said: Orientalism, New York 1978; Frederick Cooper / Ann Laura Stoler (eds. ): Tensions of Empire: Colonial Cultures in a Bourgeois World, Berkeley 1997. Bernard Smith: Imagining the Pacific: in the Wake of the Cook Voyages, New Haven, CT 1992.